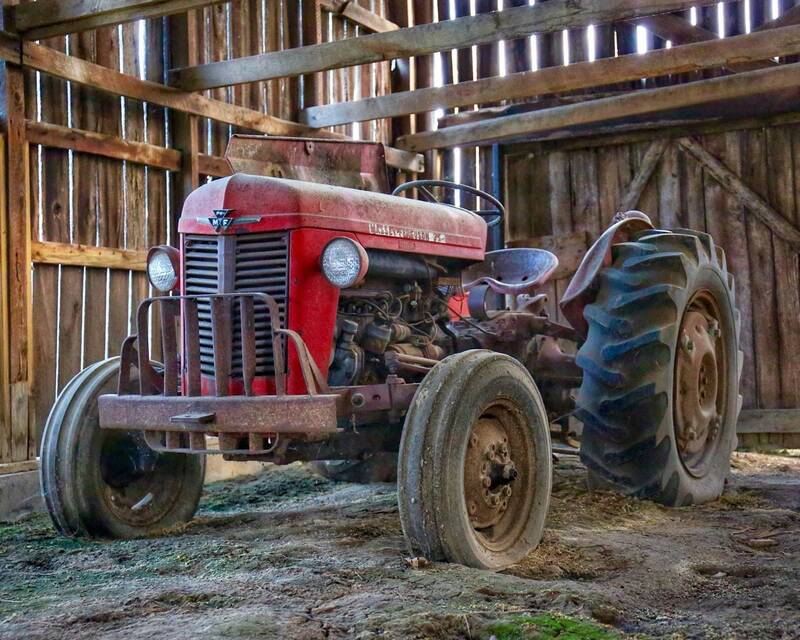 The Story...This wonderful old Massey Ferguson Tractor appears to be enjoying a comfortable retirement, just resting away in a barn. I was commissioned to do a photo shoot of farm scenes at a location near home, and rambling around on the farm I spotted this jewel tucked away peacefully inside a barn. I particularly like how there was just the right amount of light coming through the barn to bring out the colors of the tractor. Image taken Spring 2018.